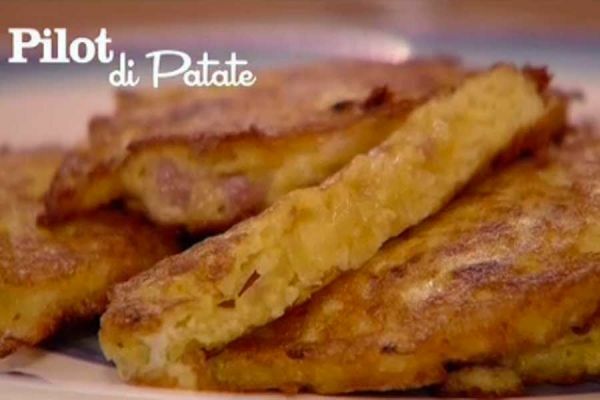 The "pilots" (pancakes) are typical appetizers of Alta Val Chisone. 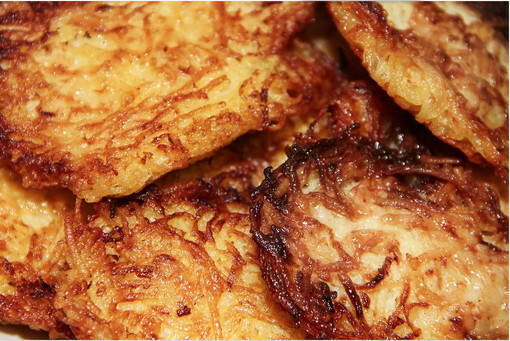 In the egg-less version (the poorest and oldest) they are also called "fritun 'd tartifla". Peel the potatoes and rub them with a mandolin. Put the potatoes in a sieve and crush them so that the excess water drains off, if the potatoes are too moist. Add salt and stir. Heat a small pan of heavy iron or other non-stick skillet with little oil and margarine. Spread a layer of potatoes - thick as the little finger - on the ground, crush well with a spatula so that it is even and cook over moderate heat for about 7-8 minutes, keeping the pan covered. Turn this peculiar pancake and cook it on the other side until golden yellow. In this case, discover the pan in the final minutes of cooking to make the outside crisp. Possibly turn it again for less than a minute to make it crunchy on the other side.